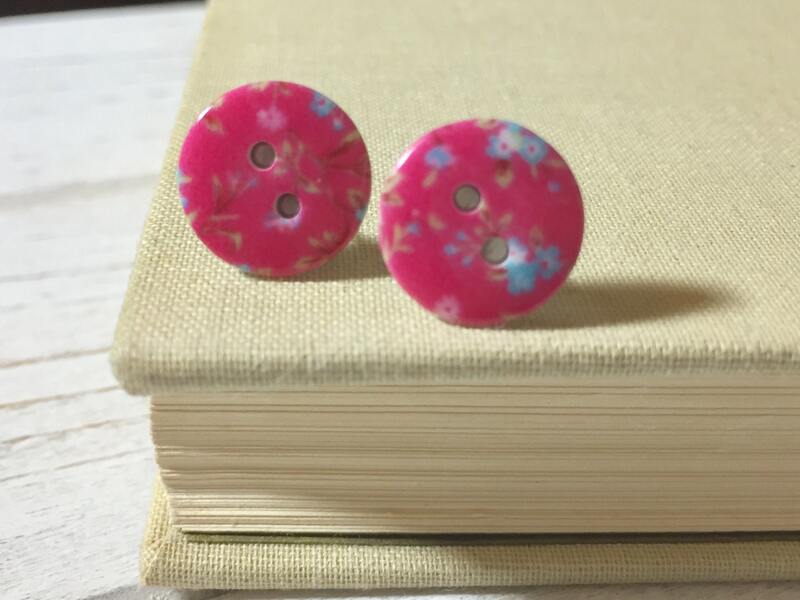 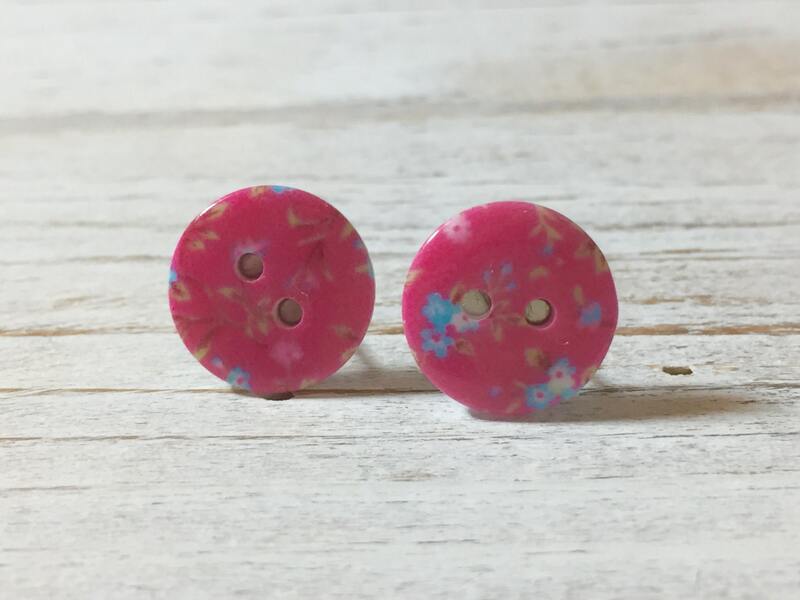 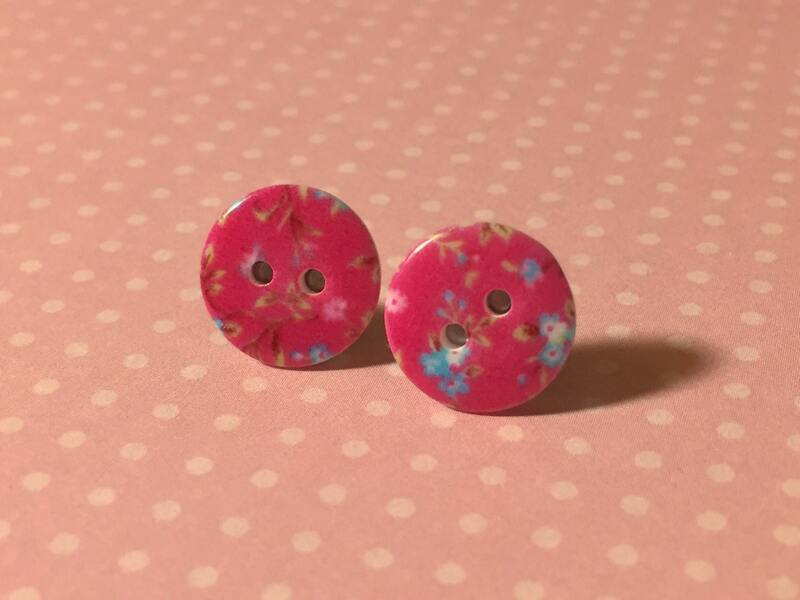 When I saw these pretty shiny floral buttons, I just had to turn them into earrings. 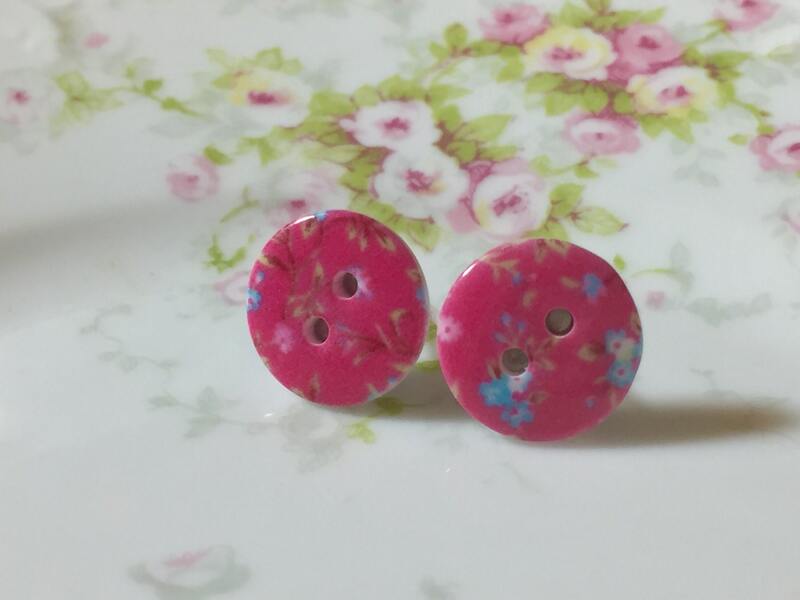 The floral pattern on them remind me of vintage limoges. 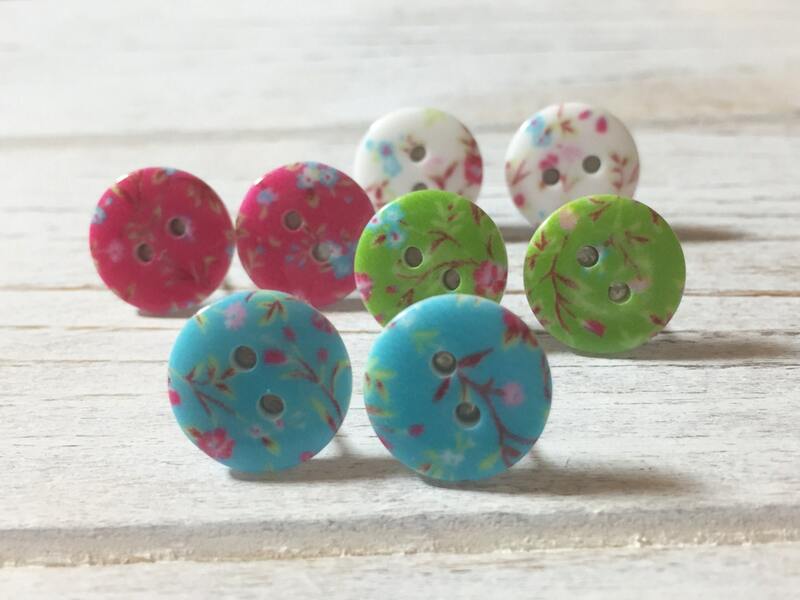 These are a bright pink background with pretty brown branches and blue and white flowers.